West London meets reggae. 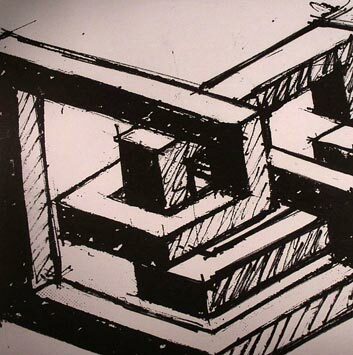 Broken urban rhythms collide with reggae echoes and effects and dancehall grooves. Featuring vocalist Ricky Ranking, better know for his Roots Manuva collaborations... This has been discreetly released at the end of january 2007 on a limited 10 incher, but a "Freedom Of Speech" album is announced for late march. 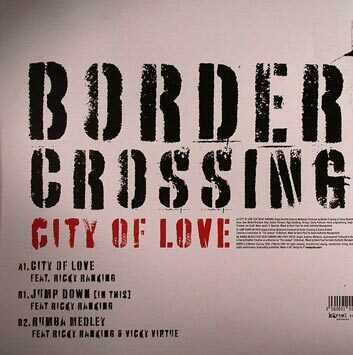 This deep and conscious hip hop/reggae blend ("City Of Love"), massive dancehall trip ("Jump Down") and dancehall-goes-latin-R'n'B ("Rumba Medley") are quite good indications of a storming second album from Border Crossing. Bring on the goods. Border Crossing's first release since their critically acclaimed debut album 'Ominous' opens with the above commentary from a BBC Radio 4 news report captured on Ricky Ranking's mobile phone during a forced break from recording, due to the overbearing sound of police helicopters and sirens around their studios on the Kensal Road in West London. 'City Of Love' is the first single and the opening track on Border Crossing's forthcoming second album, 'Freedom Of Speech'. It features South London vocalist Ricky Ranking who's Jamaican timbre resonates poignantly over an infectious reggae bassline, head nodding riddim and emotive strings. Recorded just days after the the July 2005 London transport bombings the song is a subconscious rally for peace and a reflection on the City's disquiet at the time. On the flip, tensions are discharged on a bass heavy dancehall track called 'Jump down (in this)', nodding back to Aj and co-producer Danny Briottet's Renegade Soundwave days. 'Rumba medley' is a twisted Ragga sound clash featuring Ricky Ranking and Vicky Virtue. Recently signed to U.K. management company Kartel, home to Fat Freddy's Drop, Son of Dave and The Mules. 'City Of Love' will be released by Kartel on limited edition 10” vinyl and download on the 29 January 2007. The album is slated for release late March 2007 and features the extended Border Crossing family of vocalists and MCs including Ricky Ranking, Alex Watson, Vicky Virtue, Lethal, Jhest, Vice Man, Fat Jon and Rakin. Border Crossing have also just completed their first soundtrack for a forthcoming British feature film called 'Dolphins' by award winning director Mark Jay.